I had planned to do my 4 miles after yoga Thursday night last week. Just as I dropped all my stuff and started up the treadmill I got the feeling that I should do a blood test. Just not for doing a run when my insulin was still going through it’s 2 hour peak. But since I already started the treadmill I decided I was going to knock out (a slow) one mile. And then I packed it up and went home. Packing up did not include glucose tablets or a wallet … if it had I would have fueled or run into the CVS near by – I was determined to get my run. So much so that I debated running home, fueling up with some chomps, waiting out the 2 hour peak and going back for the remaining 3 miles. Then I sat down when I got to the apartment and that whole idea vanished – I was in for the night. 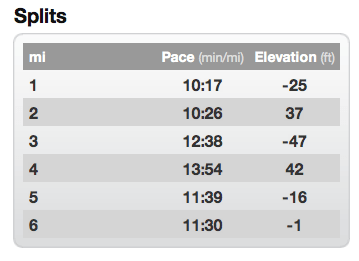 So my first run cut short from blood-sugars …. I’m sure there will be plenty more runs thrown off. Categories: Uncategorized | Tags: bloodsugars, diabetes, fueling, gym, insulin, low, night run, run cut short, sweatbetes, Thursday run, treadmill, treadmill run | Permalink. I put off going to the gym all Sunday, by the time I couldn’t put it off any longer (the gym was going to close) I was really not in the mood. But I had my final Gym Pact workout to complete for the week and I already short changed a run during the week. I was originally going to make up the 3 miles but could only talk myself into getting on the bike, rationalizing that I picked up some miles on Sundays in the beginning of training (you know because that’s how it works). 30 minutes to fill a Gym Pact … make the most of that stretching and foam rolling … 10 minutes on the bike…I could handle that, anything for 10 min right? I decided on a hill workout to make up for the strength training I was also skipping (ugh, again). Well wouldn’t you know, 21 minutes later and I had killed a sweaty 4.89 miles. Categories: Uncategorized | Tags: cross training, gym, gym pact made me go, sunday workout, you never regret a workout | Permalink. After my usual yoga class I had planned to knock out some cross-training. Blood-sugars decided to kill that plan just as it had the night before. I had only grabbed my keys, mat & iphone … leaving my meter behind (such a liberating feeling!)…. but atlas a stupid move. I still knocked out 20ish minutes on the elliptical at a low intensity (apparently I didn’t record it). My blood sugars ended up being 141 – which means I could have put in a real cardio session. Lesson learned (two days in a row): if I’m going to do cardio must have meter and tablets/gus/$$ with me. Sigh, I was just getting used to grabbing my keys and going. Categories: Uncategorized | Tags: be prepared, bloodsugars, cardio, cross training, elliptical, gym, sweatbetes, workout cut short | Permalink. Low bloodsugar killed the idea of a morning run before the heat really set in. I know that I have to train in all conditions because the marathon could be in heat/snow/rain/perfectly beautiful sunshine & breeze. But because the bloodsugars were seriously PMS-ing last week and have started to drop back down I didn’t want to throw them the curveball of the heat just yet. Goal: 4 mile quality run was on the agenda. This is where I have a lot to learn, not as a diabetic but as a runner. Hill workouts, Fartleks, tempo runs. I’ve read about them but haven’t given much thought to how I’d be tackling them. I definitely need to do some more research and pull up some suggested plans. Intensity: I also need to re-evaluate my intensity scale. Effort level is not equal to the speed level on the treadmill. The truth of the matter is right now my effort level 6 is more like speed 5 / 12 min mile. I’ll get back to 6-7/ under 10 min mile but it’s more important to build back up to it. 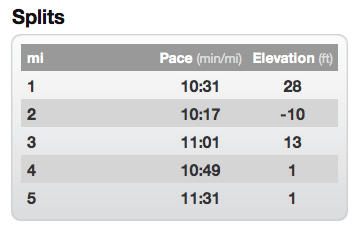 I did mile 2-3 & 3.25-3.50 @ 6 … rest was between 5-5.5. About half way through I realized I set the treadmill for 45 min and was cutting it pretty close to finish with in that time so it became a motivator to pick it up. Injuries: Wore my lovely green compression sleeves (and a matching top – way too coordinating for me – as I was walking back someone asked if I played soccer) and had very little shin pain. Left hip had very light dull pain(stretching should take care of it). This is week 2 of no PT … and I havetohavetohave to start being better about icing/heating and strength training. I’ve been super good about stretching and icing my knee & shin but my hip needs more attention. Categories: Uncategorized | Tags: 6/20, bloodsugars, gym, heatwave, night run, running reflection, treadmill run, wednesday run | Permalink. Categories: Uncategorized | Tags: 6/13, central park run, night run, wednesday run | Permalink.